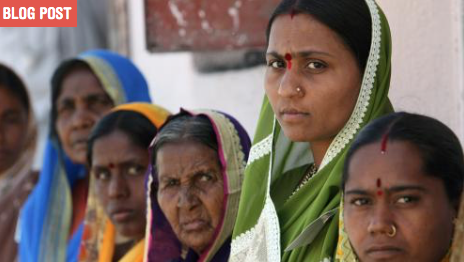 Around the world women are more likely than men to live in poverty. Patriarchal power relations and subordinating systems of governance and culture leave them without access to land, income, or decision making, and deny them education and political participation. They are routinely subjected to violence and sexual abuse, frequently married as children or victimised by dowry or honour-related crimes, or trafficked into forced labour and prostitution. Changing this state of inequality and discrimination and transforming the norms and structures responsible is a complex multi-dimensional process, crucially involving participation and influence of the women themselves. Pilar Domingo will examine this state of affairs and discuss how it may be remedied. She is a Research Fellow at the Overseas Development Institute, where she has worked on gender equality and women’s rights, and political transitions, and leads work on rule of law and justice sector reform. She has published widely within these areas, and specifically on issues of gender equality, women’s voice and leadership, and access to decision-making roles. See youtube discussion. This entry was posted in 2016, Audio and tagged forthcoming, Pilar Domingo. Bookmark the permalink. ← The Last Taboo: What to do about the global sanitation crisis?